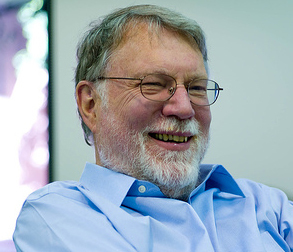 John Seely Brown or as he is often called—JSB—is the Independent Co-Chairman of the Deloitte’s Center for the Edge and a visiting scholar and advisor to the Provost at University of Southern California (USC). A master integrator and instigator of productive friction, JSB explores the whitespace between disciplines and builds bridges between disparate organizations and ideas. Prior to that he was the Chief Scientist of Xerox Corporation and the director of its Palo Alto Research Center (PARC)—a position he held until June 2000. In his more than two decades at PARC, Brown transformed the organization into a truly multidisciplinary research center at the creative edge of applied technology and design, integrating social sciences and arts into the traditional physics and computer science research and expanding the role of corporate research to include topics such as the management of radical innovation, organizational learning, complex adaptive systems, and nano-technologies. He was a cofounder of the Institute for Research on Learning (IRL). His personal research interests include digital youth culture, digital media, and the application of technology to fundamentally rethink the nature of work and institutional architectures in order to enable deep learning across organizational boundaries – in brief, to design for emergence in a constantly changing world. JSB received a BA from Brown University in 1962 in mathematics and physics and a PhD from the University of Michigan in 1970 in computer and communication sciences. His eight honorary degrees reflect the breadth and diversity of his leadership, including: May 2000, Brown University, Doctor of Science Degree; July 2001, London Business School, Honorary Doctor of Science in Economics; May 2004, Claremont Graduate University, Honorary Doctor of Humane Letters; May 2005, University of Michigan, Honorary Doctor of Science Degree; May 2009, North Carolina State University, Honorary Doctor of Science Degree; May 2011, Illinois Institute of Technology, Honorary Doctor of Design; July 2013 Singapore Management University, Doctor of Information Systems; May 2014, Bates College, Honorary Doctor of Science; May 2015, Arizona State University, Honorary Doctor of Human Letters. He is an avid reader, traveler and motorcyclist. Part scientist, part artist and part strategist, JSB's views are unique and distinguished by a broad view of the human contexts in which technologies operate and a healthy skepticism about whether or not change always represents genuine progress.